Maryland’s 2018 statewide historic preservation conference – combining Preservation Maryland’s annual Old Line State Summit with the Maryland Association of Historic District Commissions’ Annual Symposium – will offer an unparalleled professional training opportunity for the preservation community throughout the region. 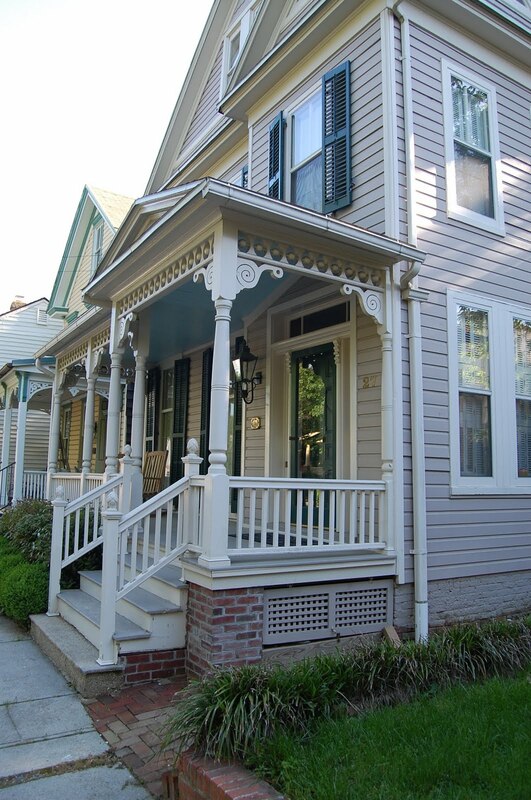 On Friday, June 15, the Old Line State Summit will focus on “Healthy, Hip & Historic,” followed by the June 16 MAHDC Symposium “When Money Is Tight but the Roof Isn’t,” will address the issue of affordability in historic communities. Conference sessions will take place at the University of Maryland School of Architecture, Planning and Preservation in College Park, Maryland. Additional information and joint registration is available at oldlinestate.org. Additional conference planning partners include the Maryland Historical Trust, University of Maryland School of Architecture, Planning and Preservation, Calvert County Government, Calvert County Historic District Commission, Rural Maryland Council, and Maryland Milestones State Heritage Area. Conference sponsors include AIA Maryland. The Old Line State Summit is for anyone who is committed to protecting the places that make Maryland special and those who want to know more about how the historic landscape plays a role in making our communities hip, healthy, and historic. Dr. Debarati Majumdar Narayan of the Health Impact Project about the impact of historic preservation on the health of our communities and ourselves is the keynote speaker. Additional sessions with discuss affordable housing, local food economies, smart growth, digital archiving and museum accessibility. At this year’s MAHDC Symposium – “When the Money is Tight, But the Roof Isn’t” – practitioners will share insights drawn from their experience maintaining affordability in communities and preserving historic properties. MAHDC will also use a forum model to discuss issues of affordability and how it impacts the communities where our participants live and work. Attendees will also have an opportunity to visit the Vendor Hall and speak to the vendors about their approaches to restoring, rehabilitating and repairing historical properties. The Symposium’s keynote speaker will be Charles Duff, President of Jubilee Baltimore, Inc. and Executive Director of Midtown Development, Inc. The afternoon’s featured speaker will be Lauren Oswalt McHale, President of The L’Enfant Trust, Washington, D.C. Both the Summit and the Symposium are eligible for Certified Local Government Educational and Training Funds reimbursement. AIA CEU credits are available for Friday’s sessions. Registration includes breakfast and lunch. Reduced registration is available for members of either Preservation Maryland or MAHDC and to session volunteers. Additionally, thanks to the generous support of the Rural Maryland Council, residents of Maryland’s eighteen rural counties will also receive reduced registration. We hope to see you there!